I still don't have a good idea of how strong 3.0 T is. How does it compare to a refrigerator magnet or the big magnet in a junkyard that picks up cars? 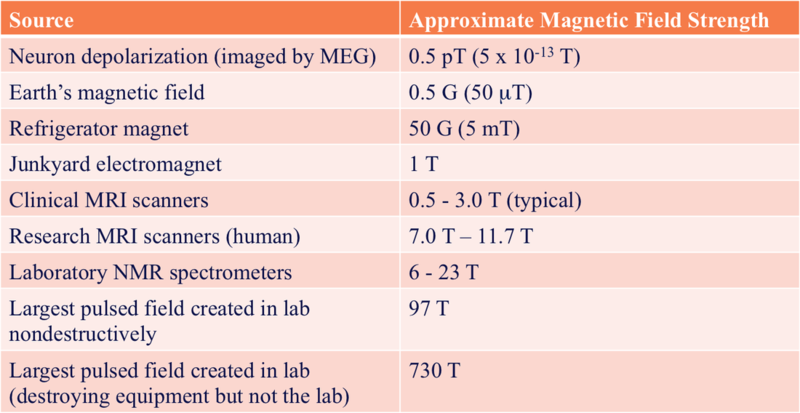 Although a 3.0T scanner is considered "high field" compared with other imaging devices, this field strength is actually "mid-range" when judged against other experimental and commercial applications of magnets. A junkyard magnet might be almost as powerful (about 1 T), but a refrigerator magnet is several hundred times smaller (5 mT). The earth's magnetic field is a hundred times smaller still, varying from about 30 μT at the equator to about 70 μT at the poles. 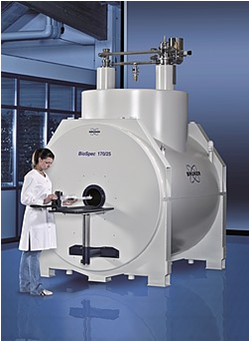 Commercially available MR scanners for routine clinical use exist from 0.2T to 3.0T, while research facilities currently perform human imaging in fields up to 11.7T. Small animal imagers exist in sizes up to 17.2T and chemistry NMR spectrometers can be found with field strengths up to 23.5T. 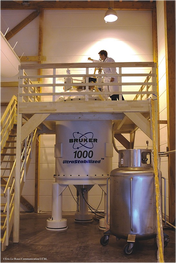 Both these latter instruments are made by Bruker. Physics groups world-wide are constantly competing to produce even higher magnetic fields, even if they only last for just a fraction of a section and destroy the machine in the process. Information about of the most active centers is near Tallahassee, Florida, and is building the worlds largest constant field magnets. Information is available at this link: National High Magnetic Field Laboratory. 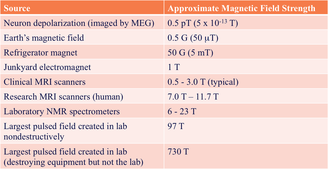 "Orders of magnitude (magnetic field)." Wikipedia, The Free Encyclopedia.